FCC approves US-bound OMNIA, NOT! Rumors around the AT&T variant of the OMNIA have been floating for months, but today there is new ray of light for these who hope to see it. After we told you that the i907 (which seemed just as an i900 (OMNIA) with the AT&T-friendly suffix “7”) is actually a variant of the i780, FCC now approved the i900L with 3G UMTS operational at 850/1900 MHz bands and sketch reminding the form of the OMNIA. Yes, this is the OMNIA but this is not a version for North America. It is for the South American market instead. Samsung’s site for Venezuela officially showcases the i900L in its product page with images and specs. So, i900L is OMNIA, but for Venezuela, and probably other countries in S.A. and not for the States. We can still cross our fingers and hope that after Samsung has developed a version with AT&T-friendly bands, it will also offer it through the largest U.S. carrier, no matter if it will be numbered i900L or will come with a name. *Update* The Samsung site lists the i900L to support UMTS 2100 instead of 850/1900. We are confused. I have given up on this phone. I anxiously waited for this phone after my contract expired in July. It looks like a great product but Samsung and US Carriers dragging their feet on this have killed it for me. I'm moving on to something else, likely a Touch Pro. Do you seriously think that just because they announce a phone it will eventually come out the following month? New devices take a lot of time to build, test, and then beta testing. So why don't you just get another phone for now. 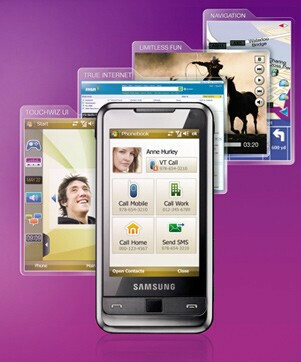 I couldn't find any samsung site for venezuela, does anybody have a link for it. And if it is going to south america then why is the fcc testing it? I would have to say that I'm trusting the FCC on this one, they are the only ones to publish testing on the device and they wouldn't get the 850/1900mhz bands mixed up with 2100mhz. Plus, if Venezuela uses 2100mhz, why wouldn't carriers there just use the i900 Omnia? Even if ATT picks this phone up it wont be the 16Gb version. They have too much money invested in the iPhone and it would be dumb for them to offer a phone with better specs. I don't think Apple would like to compete for sales under the same carrier. If this phone ever hits the US it will be under Verizon or Sprint. Why in the world would Samsung submit a phone to the FCC in the US for a Venezuelan phone? Obviously, they have a desire to sell it in the US. Negotiating with the carriers may be another story.